Everything Just Sew: No excuses! So a few weeks ago I took up running again, after about a twenty year lay off. I'd given up because it became inconvenient, rather than due to injury or hating it! 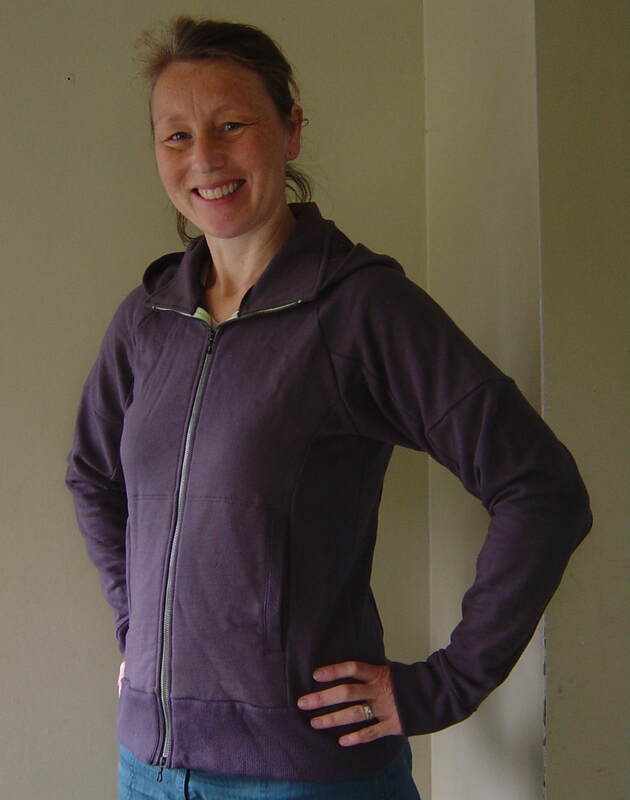 Hugely inspired by my fabulous friend J, who has dedicated herself this year to her health and getting fit. Running a half marathon fit. I go to the gym regularly, but don't do a lot of cardiovascular exercise, so decided to start running. Which of course required appropriate kit. After buying good shoes I only needed a sweatshirt/jacket for the days I walk the twins to kindy and then run from there, or when it's cooler. (I live in Dunedin. Cooler is always a distinct possibility.) So I made this. I call it the No Excuses jacket because it's function is to prevent me from having an excuse not to go! It's Jalie 2795, made from cotton sweatshirting. It's perfect - nice long sleeves to keep my wrists warm, a hood that sits nice and flat, close fit through the body so I don't have excess fabric bunching around the place, room through the chest/shoulders for a complete range of motion swinging my arms. The only change I made to the pattern was to add a zip to one pocket so I can take my phone and house key without worrying about losing them. I've worn it twice, and it works really really well. 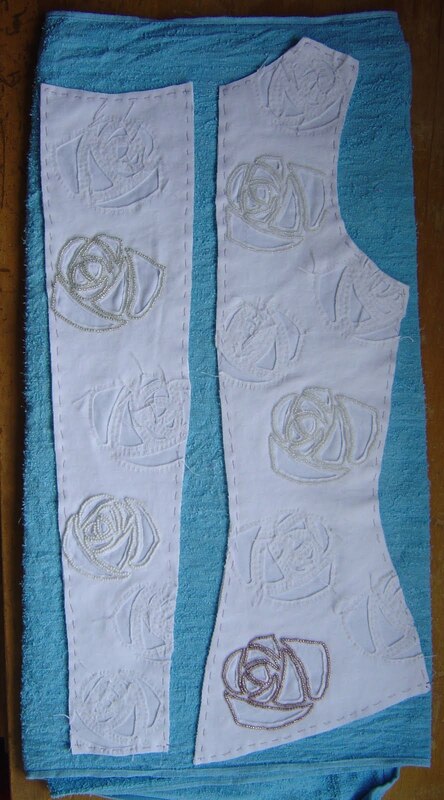 Progress on the latest Alabama Chanin corset top is slow, as expected, but steady. I've got this far so far. And I've still got an increasingly worried eye on Christmas. 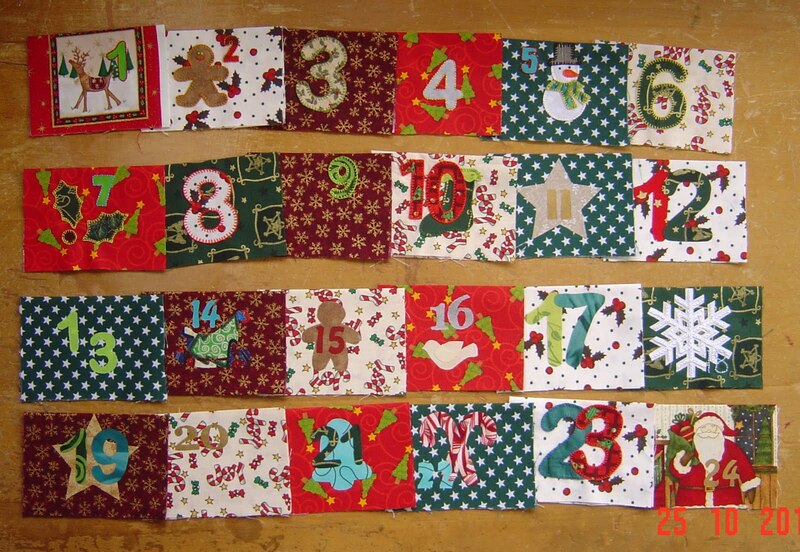 Mostly because a so-called friend helpfully reminded me that I needed the advent calendar by December 1. Which is not that far away! And Cayden (for whom I'm making a doll of himself) has only a couple of weeks left of school, after which it'll be harder to work on anything I don't want him to see. So today I made a trial version, using one of the failed photo printing efforts. 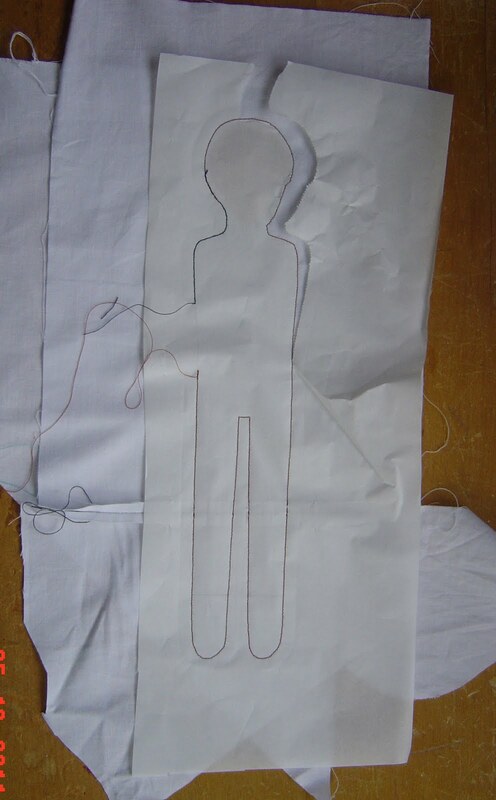 To very simply transfer my sewing line to the fabric I just pinned a paper copy of it to two layers of fabric, lining up the face, and sewed through the paper. Afterwards I just had to tear it out - easy! I'm pretty satisfied with that, so now I can make the real one and stuff him. Which I'm going to enjoy. Then make him some clothes. 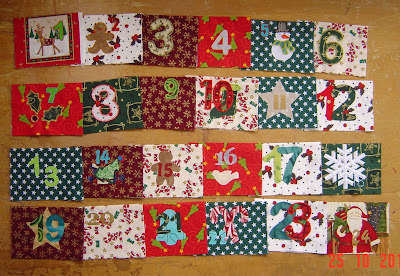 And the advent calendar now has pockets. 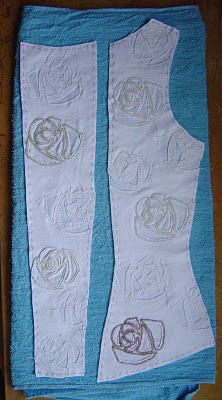 Some finished, some still needing fused appliques to be stitched down. So yeah, been doing stuff. My that is certainly a pretty 'no excuses' jacket. Next year baby lets do the full!! Even if I had the great jacket I'd still make excuses. You've done a terrific job and your beaded cami is coming along nicely.